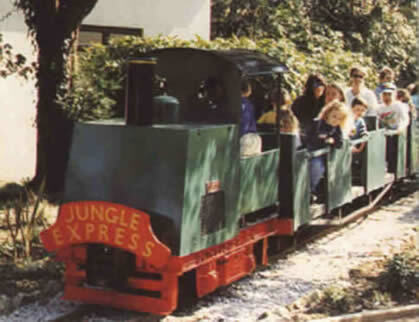 The Paradise Railway is in the grounds of Paradise Park in Hayle which is a bird garden. The railway runs around a house in a circle. Passengers are taken on two circuits as one trip. On the trip is a tunnel, three level crossings and a bridge. The trains here used to be operated by 0-4-0 tank engine ‘Chough’ but trains are still operated by the Lister Diesel. Opening Times: Trains run daily from 1st April to 31st October, from 10:30am to 5pm. PR Page was last updated on the 1st January 2011 with opening times updated.